This is a guest post from a friend of mine, Ashley over at Money Talks. She thought she had a terrible year financially but her investments saved her! Every month I fill out a spreadsheet I have where I track our financial picture. I track our debt and savings balances and every once in a while I throw in our retirement account balances and our overall net worth. Well I was in for a surprise this year when I figured out our net worth and compared it to last year’s. 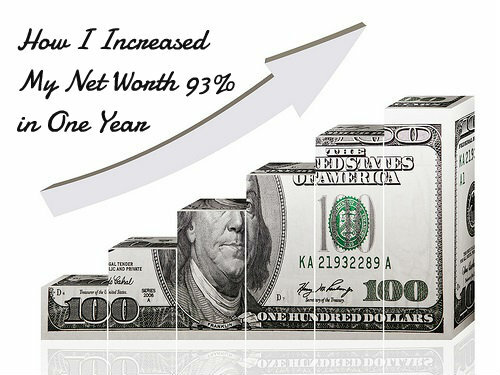 Our net worth went up 93%! That’s insane! After the year we had I didn’t think we did well at all. We paid off $8,839.81 in debt. The vast majority of the increase in Net worth was due to things we had no control over, mainly the Real Estate market. We gained about $125,000 in equity due to nothing more than the market going up. The only control over we had over that was in 2010 we bought a rental house for super cheap. This allowed us to double dip when the market finally came back. Even though we had a tough year we still got richer. That’s the beauty of buying assets that will appreciate over time. They are working to make you richer even when you aren’t. As far as things we could control we didn’t do well at all. I don’t know what our income was off the top of my head but we only used about $5,000 of it to better our lives. That’s nothing. That’s a single digit percentage. If we were only relying on ourselves we wouldn’t have done very well at all this year. But we weren’t relying on just ourselves. We had assets out there working for us as well, and as it turns out they did much better than I realized. The moral of the story is to use the good years to buy assets. Buy things that will increase in value. Then when the bad years hit your financial situation won’t be destroyed. If you need to change your behaviors and thoughts about money you can check out my free e-course. Skipping your morning Starbucks and quitting eating at restaurants won’t clear your hefty amount of debt. It is possible, even if you owe tens of thousands in debt repayments, to get out of debt within a year or two, but it will require some life-changing sacrifices. Here are some of the most extreme yet effective things you can do if you’re serious about clearing your debt quickly. If you’ve inherited valuable family heirlooms, such as jewelery, now is the time to cut your sentimental ties. It may be harsh and ruthless, but imagine what your late grandmother would make of your current financial situation. She would probably advise you to sell that old jewelery box full of her past treasures and clear your debt so you and your family can live happy and stress-free lives. Or both cars, if you’re really serious. If you absolutely need a car, then sell yours for a model with a smaller engine so you can save on fuel and insurance. If you have two cars, then you should at the very least get rid of one. Seriously consider whether you really need them both. Are there ways you can get around having just one car, or not even owning one at all? If you live in an area that’s well connected in terms of public transport, or has a lot of amenities within walking distance, now is the time to sell your car. It’ll take a huge chunk out of your debt and dramatically reduce the time it takes you to clear it, so it’s something you really need to consider. Moving house into something much smaller and cheaper is perhaps the most extreme step you can take towards getting out of debt. A quick sell will provide you with cash, so you can buy a much smaller house outright with money to spare. The spare money can be used to repay some of your debt, whilst the money you’ll save on monthly mortgage repayments will also contribute to paying it off. If you’re not quite at the stage of desperation to consider these extreme methods, then you need to take steps to ensure your debt doesn’t spiral out of control to the extent that you end up having to implement our tips. To find out how you can start managing your debts, check out this website for some expert advice. 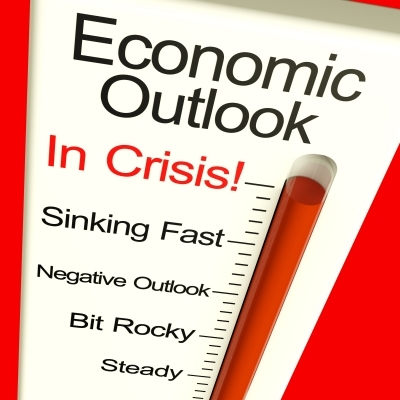 The topics of debt and bankruptcy are often highly debated issues, with “experts” on both ends of the spectrum. Some will tell you that if you ever have a small amount of trouble paying off debt, then bankruptcy is your answer! On the other hand, there are some who say that bankruptcy is equivalent to theft and should never be allowed. If you are contemplating bankruptcy, the first thing that you need to do is evaluate your expenses. I have talked to many people over the years who are thinking about filing for bankruptcy, while at the same time enjoying many of the luxuries of life. If you are in such a desperate situation that you are willing to turn your back on the agreements that you have made in the past, then you should first be willing to strip all of the extras out of your life. To have a $200/month cable bill, $350/month dining out, paying tons of money for your kids to learn every instrument and sport known to man, and new(ish) cars for everyone in the household, and then claim to be too broke to make minimum payments is a joke! Cut your budget down to the bare essentials and then attack your debt with everything that you have. This method takes sacrifice, but it will also help you to see what is really important in your life. If you are in a situation where your debts are growing, and it seems like you have no way out, take a financial inventory. When you want to know how to pay off debt fast, you need to look at all avenues! Check to see if there are any accounts which you can liquidate – you may want to include your emergency fund in that analysis as well. Also, if you own property or other things of value, you may consider selling them in order to pay off a huge chunk of debt at one time. It may be hard to sell your home or other treasured possessions, but this may provide the shot in the arm that your debt repayment plan desperately needs. Of course, if your asset is serving as collateral for a loan, you have to see how much you will get after paying off this obligation. 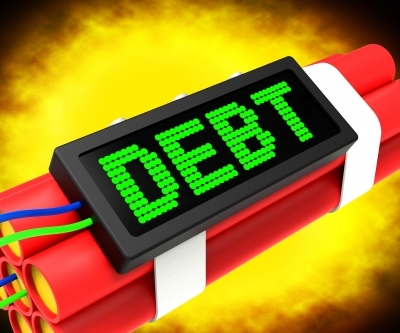 This is another weapon in your debt repayment arsenal, which is often overlooked. You can first try to earn more money on your current job. Ask for a raise, or try to work overtime. If those options don’t work, then it may be time to search for a higher paying job! Also, try to use your skills, hobbies, and passions to make money. You can sell the things that you design (I know several people who make good money by designing and selling jewelry), give lessons, or even start a website/blog devoted to your passions! In many cases your creditors would rather get some of the money that you owe them, rather than nothing! Therefore, they are usually willing to work out an agreement with you in order to get your debt paid. This normally happens in one of two ways. This is an option where your creditors agree to accept a reduced amount – this can sometimes be 50% or less of the original amount due. If there is no chance that, given your current financial situation, that you can pay off the full amount that is due, this may be a viable option for both parties, then debt and bankruptcy will be a thing of the past. Many creditors have some sort of “hardship program”, which they offer to consumers who are facing financial difficulties. If, based on your overall financial situation, you can pay off your debt – but you just need a temporary break – your creditor may choose to lower your minimum payments and/or your interest rate for a certain amount of time. For installment loans, sometimes the bank will take a few of the payments that are currently due (or due over the next few months), and add them to the end of the loan period. If you are behind on your payments at the time, this will allow you to be current in their system. Sometimes, they will actually structure these payments so that you are given a couple of months of breathing room. These temporary hardship programs – if offered by each creditor – may be enough to allow you to take control of your finances and avoid bankruptcy. After considering and trying all of these methods, you may still be in a position where it is impossible to pay off your debts. Many times this is due to the debt that remains after a series of medical emergencies, or even when an irresponsible spouse leaves their partner with hundreds of thousands of dollars in debt! In these cases, bankruptcy may be the only way to have a normal life. Unfortunately, it is impossible to make general statements on an issue this important and complex. Therefore, you must consider your specific financial situation with an expert before making any decisions.